Light rain (toplam 4.0mm) at first, then becoming colder with a dusting of snow Pzt gecesi. Freeze-thaw conditions (en fazla 5°C Pzt akşamı, en az -1°C Cmt sabahı). Wind will be generally light. Heavy rain (toplam 39.0mm), heaviest Per gecesi boyunca. Very mild (en fazla 10°C Per akşamı, en az 2°C Sal sabahı). Wind will be generally light. Yukarıdaki tablo Brezovica merkezi 2108 m yüksekliği için hava tahmini vermektedir. 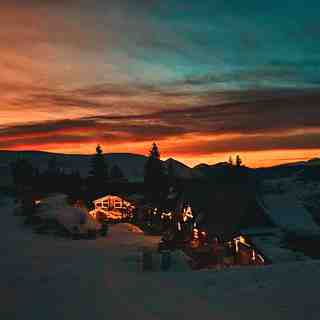 Gelişmiş hava modellerimiz sayesinde Brezovica merkezin üst, orta ve alt kayak istasyonu için kar tahmini sağlamaktayız. Diğer yüksekliklerin hava tahminlerine erişmek için, tablonun üzerindeki sekme gezintisini kullanın. Hava durumunu tamamen görüntelemek için, Kosovo ülkenin Hava Haritasına bakın. Brezovica, in terms of the raw material (the mountains themselves), is awesome. As all have mentioned, the infrastructure is not like anything I have ever seen. It is impossible to know if/when the lift will run. I have gone four days this year, and one lift plus the rope tow have worked each of those times, but unpredictably. Sometimes, only for 2-3 hours. This last Friday, it was running for at least six hours straight which was amazing! You can always hike up. You can sometimes pay someone at the base for a snow mobile ride up and I am told there are cat services for free skiing. The terrain is really special-there are so many nooks and crannies in an around the pistes that you can get to without hiking-some really steep stuff, wide open stuff, thick glades at the bottom, spread out trees towards the top. 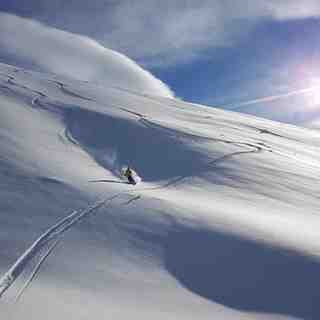 Plus there are huge mountains with bowls, couloirs, glades, etc. in all directions, if you are willing to hike. Avalanches are a possibility, so be aware of this risk if you do start exploring. The parking area is tiny. There is an open garbage heap next to it with feral dogs. There are a bunch of bars/cafes at the base with hip-hop and techno. If you go, don't expect the lifts to work and if they do, bonus! The place is awful and awesome all at once!